Can I get my charge dismissed by attending a Virginia Driver Improvement Clinic? If you are charged with reckless driving or another traffic offense, you may be able to reduce the penalties associated with the charge by taking a court-approved defensive driving class. However, the success of this tactic depends on the judge. Some place no value in Virginia’s driver improvement clinics. Others have very specific requirements about what type of clinic can result in a reduction. There are driver improvement clinics located throughout the state, and you can search for a location near you on the Virginia DMV website. Online options are also available. These courses provide the bulk of instruction from the comfort of your own home, but you'll need to visit a testing site to complete the final exam. No books or notes are allowed during the final exam, and you'll be required to show proof of identity before you begin. 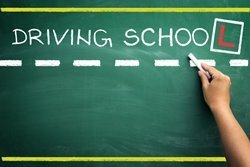 The cost of a driver improvement clinic varies according to the provider, but Virginia caps the fee for court-approved defensive driving school at no more than $100. 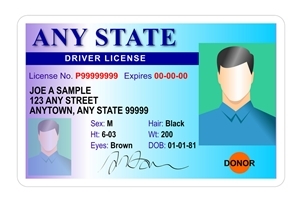 Drivers under age 20 or those who committed their offense while under age 20 can't use an online course to satisfy a DMV or court requirement. They are limited to using driver improvement clinics with in-person classroom instruction. Even if taking a defensive driving class won't get your charge reduced, completing this course may still be beneficial. These courses cover various defensive driving techniques that can keep you safe on the road. You can also earn safe driving points on your driving record and potentially receive certain auto insurance discounts. To learn more about your options following a reckless driving charge, contact Virginia defense attorney Charles V. Hardenbergh to schedule a free consultation. If you're charged with reckless driving, it's important to be prepared for any possible outcome. This includes jail time. If your sentence requires time spent in jail, your attorney may be able to make that time a little more manageable. It’s important to know some options available to help with your sentence. In the best-case scenario, any incarceration is suspended or credited as time served. If you successfully complete all of the requirements the Court asks, you won't need to serve the suspended portion of the sentence. However, if you fail to follow instructions, the Court can require you to complete the original sentence in full. Can I Schedule Jail Time? If jail is ordered, judges often ask the sheriff to take defendants into custody on their trial date. This default option can cause the unprepared defendant to panic, but it's important to keep in mind you do have options even if your case gets this far. 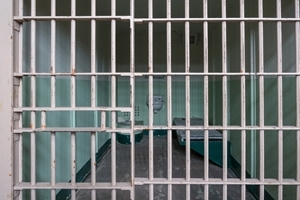 Delayed reporting is the most common method of handling jail time. This means you request time to return home and get your affairs in order before being required to turn yourself into the authorities within one to two weeks. When you have a skilled attorney who is familiar with the local court system, it's often possible to have your sentence served at a time that best fits your work schedule or other important commitments. Another option is to have your attorney initiate an appeal bond to delay your sentence. This will essentially put your case on pause until your appeal is processed, giving you a month or two to get your affairs in order. A reckless driving by speed charge can result in jail time, as well as a criminal record and stiff financial penalties. 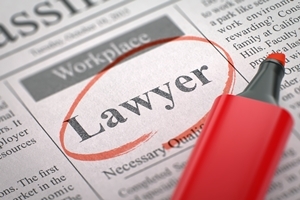 Hiring a skilled attorney to represent your interests is the best way to minimize the impact of one wrong decision on your future. Virginia defense attorney Charles V. Hardenbergh offers aggressive, experienced representation for your reckless driving case. You can also use our reckless driving sentence estimator to see the results we've achieved for other drivers here. Call (804) 835-5127, or complete our online contact form to schedule a consultation. Reckless Driving Fines: What if I just pay? While this may seem like the easy way out, simply paying your fine and hoping for the best isn't the smart way to approach your ticket for reckless driving by speed. 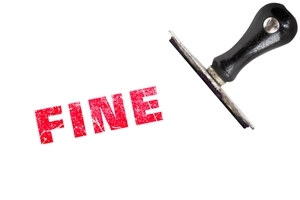 When you pay your fine with no objections, you're automatically admitting guilt. Don't forget that 100 percent of the people who plead guilty and pay the fine are convicted. Having a conviction for reckless driving by speed is a serious matter. In most cases, a conviction stays on your record for 11 years. Your conviction can also result in massive insurance increases and license suspension. If your job requires a valid driver's license, this means you might even find yourself unemployed. It might seem like fighting the charge is a waste of time and effort, but those who take the time to appear in court to contest a reckless driving ticket are often able to get it dropped. While you can't claim ignorance of the law or argue that your conduct didn't hurt anyone, there are strategies you can use. You may cite an error in the officer's approach or argue that the officer confused your vehicle with another similar looking car in the heavy traffic. Both are plausible defenses. Remember that you're innocent until proven guilty, so it's in your best interests to make the court work to prove its case. Fines from reckless driving by speed tickets are a highly profitable revenue stream for Virginia's courts. The state is one of the most expensive in the nation in which to receive a ticket. Don't volunteer your own funds to help balance the state's budget. Retaining a skilled attorney to advocate for your interests can result in your reckless driving charge being dropped or overturned. Attorney Charles V. Hardenbergh is committed to helping Virginia residents avoid the hefty fines and negatives consequences of a reckless driving ticket. Call (804) 835-5127, or complete our online contact form to learn more. If I’m charged with a misdemeanor drug offense, what should I expect for sentencing? The Commonwealth of Virginia is very clear about what it considers to be reckless driving, and it takes the charge very seriously. As reckless driving is a criminal offense in Virginia, you could end up with a misdemeanor or even a felony conviction on your record if you aren't aware of the laws and don't take the charges seriously. Six demerit points on your license. Demerit points will stay on your license for at least two years and will affect insurance rates and consequences of additional traffic tickets. A criminal record. If you’re convicted, the misdemeanor criminal charge will remain on your record. Having such a conviction can cause difficulty when applying for jobs, loans, etc. and can permanently mar your reputation. Loss of job or security clearance. Since the conviction will cause you to have a criminal record, this could affect your security clearance and job security. Increased insurance rates. Insurance companies commonly raise rates for people viewed as greater risks, including those convicted of reckless driving offenses. License suspension. Conviction of reckless driving in Virginia could result in suspension of your license, making it difficult to get to work. Jail time. 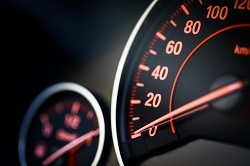 While unusual, a judge could order jail time if you are driving in excess of 90 mph. For more information on how to fight charges and avoid legal consequences, contact us today at (804) 835-5127, or come see us at our Lexington or Petersburg offices. We’ll be happy to discuss your case and provide you with the quality advice and guidance you need. Contact us today!